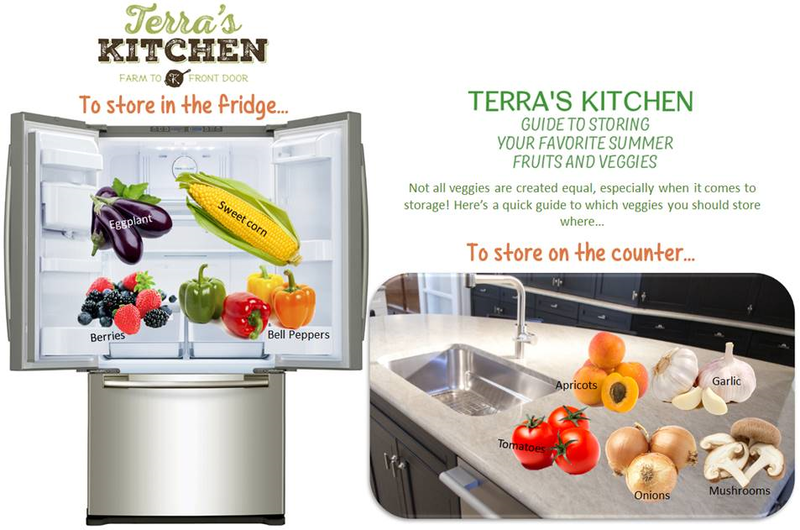 2015 August 09: Tips from Terra’s Kitchen! Just as some people dig and look for pirate treasure, some scientists dig and look for treasures, too. These treasures may not be gold or jewels but fossils. Following in the footsteps of Dino Tracks, this sequel takes young readers into the field with paleontologists as they uncover treasured clues left by dinosaurs. Readers will follow what and how scientists have learned about dinosaurs: what they ate; how they slept, fought, or even if they ever got sick. True to fashion, the tale is told through a rhythmic, fun read-aloud that can even be sung to the tune of Itsy Bitsy Spider. First of all, I love how this one can be sung to the tune of Itsy Bitsy Spider. It is really fun for young children! 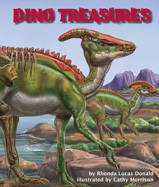 As usual, with all the books that can be found at Arbordale Publishing- it is very educational and will make learning about fossils that dinosaurs left behind, a lot of fun! For Creative Minds teaches about Biologists and Paleontologists and perfect for Science in K-3. Find this one at Arbordale Publishing. Kids and families nationwide know and love the music of L.A.-based composer/performers Andrew & Polly from hearing the duo’s songs on Nickelodeon’s Wallykazam!, as well as the score to the Nick digital series Welcome To The Wayne. Soon they will get to hear more with the September 25th release of Andrew & Polly’ssecond album of playful pop tunes for kids, appropriately titled Odds & Ends. 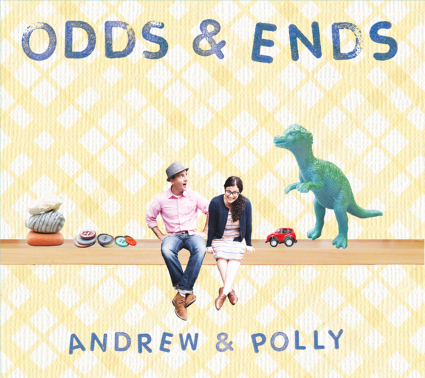 Odds & Ends is, indeed, quirky and eclectic, just like Andrew & Polly! The album kicks off with “Little Bitta You,” a soft, sweet tune that gets big and happy, and, like childhood, is a bit nonsensical at times. The song also provides a great showcase for trombonist Gabe Feenberg (Terraplane Sun). “Ghostbusters,” the song that deftly set the silly/scary ambience of the eponymous 1984 film, completely lives up to its reputation in Andrew & Polly’s version, which features theramin, marimba, accordion, kazoos, whistles, synthesizers, and the voices of a collection of their youthful fans bellowing, “Who you gonna call?” into the iPhones of their amazed parents. What’s next for this dynamic duo? Andrew & Polly are busy developing EAR SNACKS, a new kind of podcast — for kids, featuring kids — and they can’t wait for fans to hear it! This really is sweet music for young children! It’a also..different! I really think it stands out among young children’s music today! I highly reccomend for ages 4-8. Odds & Ends will be available at CDbaby, iTunes, and at Andrew & Polly’s shows. Self Disclosure: I received a free sample to facilitate this music feature post. They’re back! The interactive/ultra-powered/wildly eclectic musical explosion known as Josh and the Jamtones is set to bust out of the chute with the August 21 release of their third kids’/family album,ROCKSTEADY. Chock full of frenetic, danceable reggae/ska jams, ROCKSTEADY features special guests Jesse Peter Wagner (lead singer with legendary reggae/punk/ska band The Aggrolites), Grammy-nominated Secret Agent 23 Skidoo, and Father Goose (featured on the Grammy-winningDan Zanes family albums). A mashup of ska with punk rock, hip-hop and doo-wop — often played at lunatic speeds — is the foundation of the Josh & the Jamtones sound. ROCKSTEADY (a word that historically describes an early type of ska) is easily the most ambitious album the band has ever recorded, with 19 songs and skits performed by 18 musicians on over 40 instruments. 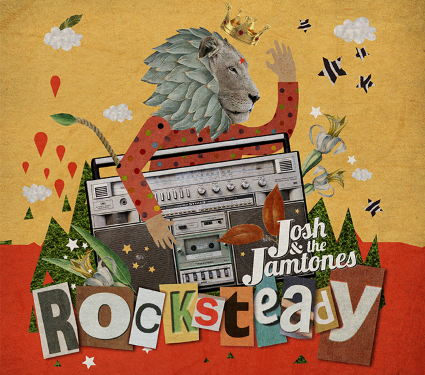 ROCKSTEADY is produced with a focused conceptual element that could be thought of as “Jamtones FM,” with its mock DJs and radio-static “channel surfing” transitions between songs that display the Jamtones signature blend of reggae, ska, doo-wop harmonies, ’90s hip-hop, and Weezer-like guitar solos. Themes of love, friendship, and dance parties prevail, and all the songs on the album are seriously danceable. The “Rocksteady,” the “Tailfeather,” and the “Katmandu” are specific dances, hearkening back to the old radio singles days, while other songs, like “I <3 Ur Face,” have their own kinds of moves. Josh & the Jamtones have been making music and lots of laughs for kids and families since early 2012, when singer/songwriter Josh Shriberstarted buying fancy lattes from producer/drummer Pat Hanlin at a café near his house. Since then, the titanic twosome and their intrepid band have crisscrossed the country, playing hundreds of shows and sharing the stage with massive bands like The Wiggles, Yo Gabba Gabba, and The Fresh Beat Band. The Jamtones have performed at loads of major festivals with mega-acts like the Dave Matthews Band, Hall & Oates, and The Roots. Previous Josh & the Jamtones releases include Bear Hunt: The Movie! (2014) and the albums Bear Hunt! (2013) and JUMP UP! (2012). I received a sample of this one and really quite impressed! This one is a lot of fun! Kids will love the original sound of this band! They are simply “cool” and have an unique sounds of their own! Be on the look out for this one! Self Disclosure: I received a free sample of this CD to facilitate this music media post. Burke Williams Day Spa is pleased to introduce a tenth location to the family of California day spas at the new Village at Westfield Topanga, set to open late September 2015. The new spa will be the most innovative spa concept that the brand has introduced to date. Burke Williams has been the premier day spa in the California market for over thirty years. The brand is still family owned and operated with seven locations in Southern California and two in Northern California, one inside the Westfield’s San Francisco Centre. 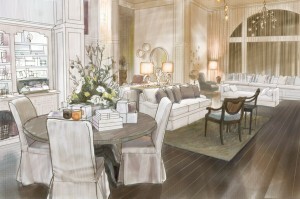 Each Burke Williams spa has its own individual esthetic and design influence. The new spa at the Village at Westfield Topanga will be reminiscent of a Hamptons Beach House with 14 massage rooms, 6 skin care rooms, 1 room that accommodates both massage and skin care services, a nail care room and two lounges. 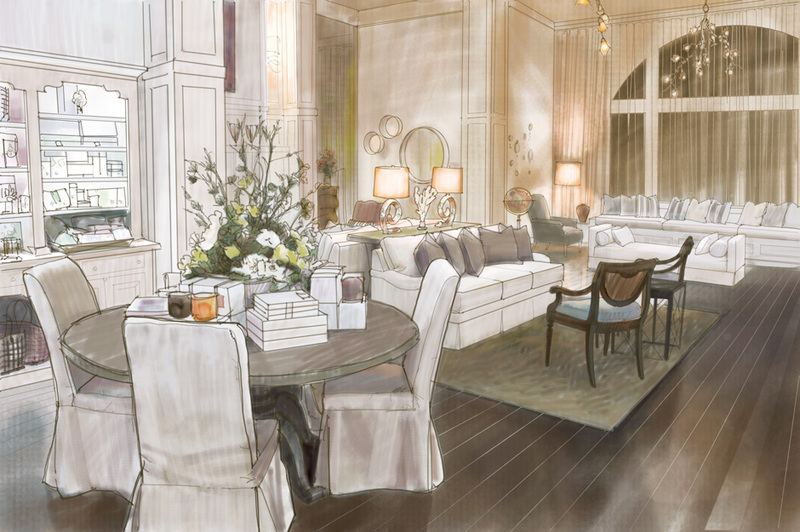 The spa will boast expanded common areas including The Garden Room that will offer mini services including hand and arm massages, anti-aging hand treatments and foot massages in a co-ed casual environment while guests relax or wait for their scheduled service. An innovative custom blend bar will allow guests to consult with an aromatherapist and personalize their service in up to 10,000 ways, spanning every option imaginable including aromatherapies, herbal blends, lotions, massage oils, bath salts and more. These personalized blends will be available for use in services and also for sale for use at home. In addition to saunas, steam rooms and lockers, the spa facility will offer 3 whirlpools, one for women, one for men and the new Twilight Spa for silent enjoyment. In addition to the traditional vanity area, the spa will offer a full-service blow dry bar that will accept walk-ins and appointments. The nail care room will be the largest of all Burke Williams locations and accommodate seven manicure and pedicure stations. Nail care services will feature the spas newest eco-friendly steam pedicure and also accept walk-in guests and appointments. The spa shop will carry Burke Williams’ own exclusive in-spa skin care line H2V, Eminence products [insert other retailers we want to list] and gift cards. For more information on Burke Williams Day Spas locations, services and products please visit http://burkewilliamsspa.com. Credit: Burke Williams Day Spas. 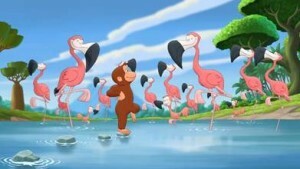 On August 17, Curious George is back to his inquisitive ways with the television premiere of CURIOUS GEORGE 3: BACK TO THE JUNGLE. 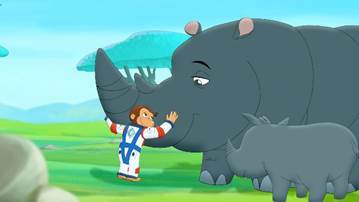 In this adventure-filled feature-length movie, Curious George takes a trip to space but crash-lands in the jungles of Africa, leading to an unforgettable journey with new animal friends. Featuring the voice talents of Angela Bassett and John Goodman, with music by the Plain White T’s, BACK TO THE JUNGLE is a fun-filled journey that the whole family will enjoy. Beginning August 17, new episodes of the Emmy-nominated preschool series SUPER WHY! will air. Developed for children ages 3-6, SUPER WHY! helps kids explore reading and the alphabet, word families, spelling, comprehension and vocabulary as they follow their favorite Storybrook Village characters on interactive adventures. Five new episodes premiere that week, and new episodes will continue to air throughout the year, including a literacy-themed week starting September 21 and a Hanukkah-themed episode during the holiday season. 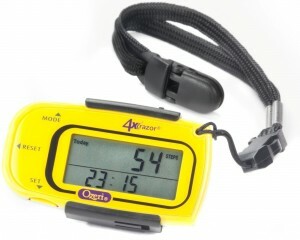 Ozeri 4x3razor Digital Pocket 3D Pedometer with Bosch Tri-Axis Technology from Germany, in Sport Yellow is a Must-Buy! Looking for a thin and portable Pedometer? This one is claimed to be the World’s thinnest and most advanced 3D Tri-Axis Pedometer. The 4x3razor utilizes a new advanced 3D Bosch Sensor from Germany with Tr-Axis technology that provides superior accuracy in any position and at any angle. I quickly had to check this out to see if this was true! Most I have tried only seem to work accurately if they are secured vertically. I was impressed that this one does work accurately. The 4x3razor Digital Pedometer ships with an installed and an extra Lithium battery, a belt clip and a detachable lanyard and an instruction manual. This one really seems to work well for me and is very accurate. I like that it really is quite small and thin so it is easy to keep with you. I like using the detachable lanyard the best. It is also easy to read and a must-have on walks and hikes!